This topic is meant for any improvements you did to your rolling stock. Whether it is upgrading your couplers or replacing motors, anything is welcome! Technically not today, but recently I've developed a slight obssession with rewheeling old stock, changing a) plastic wheels, b) older "pizza cutters" and c) bright shiny ones for modern chemically blackend wheelsets. OK, it's not exactly 2mm finescale ;) but (especially with the larger and/or shinier wheelsets) makes a nice difference. Wheels really do make a world of difference. I have a friend in town who works in Proto: 160, I always love seeing his work and that of the local P:87 guys. Your pics there are great because yeah, even just having them not be so shiny makes a huge difference - I notice that when I look at the "before" pictures, my eyes are drawn at once to the wheels - especially the flanges; in the "after" pictures, the wheels don't jump out nearly as much, and I actually had to concentrate a bit to pick out the size of the flanges. All that to say: What wheels did you use as replacements? They look great. The 165 has the standard Kato wheelsets (11-606); the crimson coaches are British Graham Farish ones ("Poole-era") and the new wheelsets are modern Farish spares (379-412). That's a massive difference in appearance! I also made the switch a couple of weeks back swapping out all of the couplers on my Kato Taki 1000's, Koki 200, Koki 106's and Koki 50000's, I also have some Koki 106's and 107's coming soon as well as some Taki 1000's on pre order for early next year that I will be swapping out the couplers on right away. I would have liked to use Micro Trains MT10's on some of these but I will be waiting for a while, I would much prefer to invest in rolling stock and other bits and pieces at the moment. Personally i do always switch out plastic wheels, but for a metal one, there must be a very good reason to do so. One is when they are built for sheet metal rails, like the old Piko and Arnold rapido wheels. These have a completly flat running surface and tend to ride up and derail on modern track. The other type is out of gauge, loose or damaged wheelsets where it's not possible to fix them. Otherwise i tend to keep them. One nice fix is a bit of paint (either black or dark rust brown) on the outer face of the wheels. This makes them look less bright with the shiny metal rim that most old thread brake stock has. The paint does not interfere with pickup or get into contact with any other moving surface, just make sure you keep the rolling tips unpainted. For couplers, i did upgrade some of my sets to TN, bought quite a few already equipped, but for freight, i just keep the rapidos as shunting and remote uncoupling is way easier with them. Not to mention the compatibility between the dozen various brands i have. This is also why loco hauled stock must also remain shuntable and a runaround should be possible. I actually had to downgrade a recent passenger set to rapido on the last car so i could pull it from there too. Otherwise i have huge piles of Tomytec plastic wheels, pantographs and couplers that i removed when upgrading Tomytec sets. This is also why loco hauled stock must also remain shuntable. This is the reason that I'm so seriously considering the MicroTrains couplers - they work well and look good. And I can get them very easily here. The Tomix TN kinematic janney couplers have a rapido adapter, so you could just pop them on if you want to connect to a rapido coupler equipped car. The only problem with these adapters is that they are not usable with uncoupler tracks. I have to use them time to time since i do have a bunch of factory TN equipped rolling stock i'm not willing to convert back but would like to couple with rapido equipped cars. Also my kumoya tractors have TN shibata couplers on one end and rapido on the other, so they could sandwitch most of my emus and i could use the adapters for the janney equipped cars. Also the non powered kumoya is always usable as an adapter car. All of this makes sense, I understand the logic. The problem for me is that I find the Rapido couplers unacceptably ugly... I can't overemphasise how horrible I find their appearance. To the extent that I think the effort it would take in converting them to something better would/will be worth it. And by "something better" I mean just about anything else, but ideally something that looks at least somewhat prototypical. 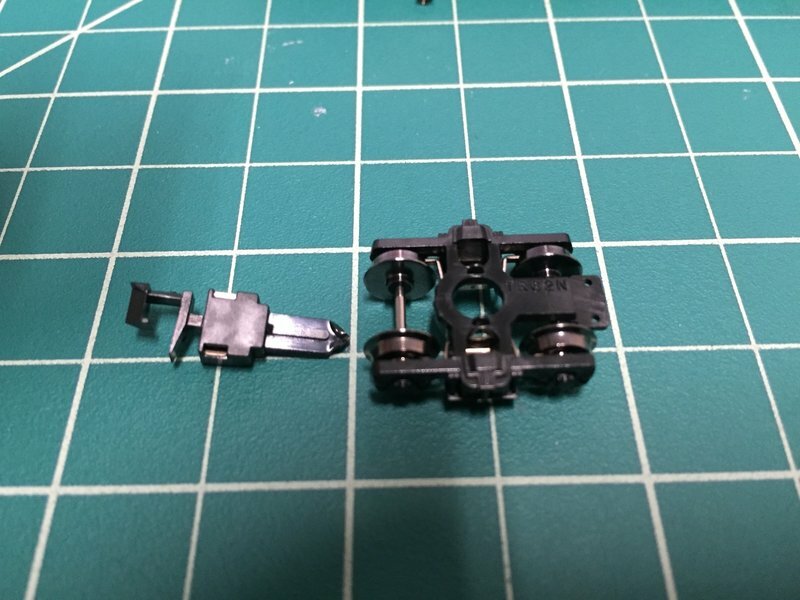 If the Japanese stock had NEM pockets, could be as easy as using Dapol's N scale knuckle couplers - I used them on my TT scale North Korean M62 - they're just about to scale for TT and look like a Janney, and they mate perfectly with MT's N scale and Kadee's HOn3 couplers. Actually if I ever end up dabbling with anything European in N (which would probably be a BR, SNCF, MÁV or JŽ branchline in the 80s - something I have some sort of connection to. As an aside I'm still amazed that Europe hasn't managed to standardise on an automatic coupler of some sort), there's a good chance I'll use the Dapols. 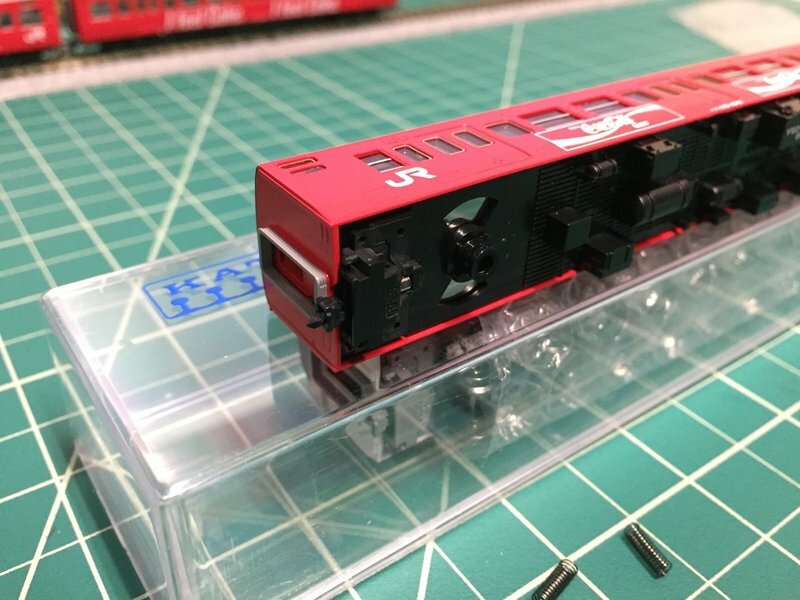 But since the Japanese trains don't have NEM pockets, I'm not sure there'd be any advantage to going with the Dapols (aside from compatibility with MT), considering I'd have to special order them through our local UK model distributor. The Kato couplers look pretty good, and have the advantage that (I imagine) they're easy to use for replacing the couplers in Kato equipment. How are they operationally, especially when it comes to shunting? I'm not sure I'd call that "too seriously", but then I'm one who finds the operations end of things fascinating. There are standards. Actually quite a lot of them. The most well known is the scharfenberg that is very similar to the shibata and it's used for passenger trains from trams to dmus/emus to ice trains. For freight, there is not much incentive to change from the classic buffer and chain to anyting else as most freight trains are used as unit trains and many of them are drawbar connected, except on the locomotive sides. This is similar to most fixed rake multiple units or even loco hauled trains, using on the road disconnectable couplers only on the ends (even railjet push-pull sets are drawbar connected). The buffer system is mostly only used with heritage trains or when international compatibility really matters. For MAV, this heritage fleet is most of their loco hauled stock, but for DBAG, they mostly have fixed rakes of cars in EMU/DMU configurations and scharfenbergs on the ends for connecting sets. For N scale model trains, most newer cars have NEM pockets. Besides the rapido, there is an option to use drawbars and around 3 different brands of more moden couplers, but they won't get the cars closer, since with the close coupler kinematics the rapidos could already do that just fine. I think you should seriously consider putting the thought of wanting to be able to buy coupler parts locally aside. You're dealing with Japanese manufacturers that use their own (non-international) standards. In general it's rather easy to convert couplers from Tomix, Tomytec, MicroAce and Greenmax rolling stock to TN couplers. Rolling stock from these manufacturers often are prepared for placement of body-mounted couplers, which are definitely always superior looking compared to bogie-mounted couplers. Kato, on the other hand, uses their own standard. 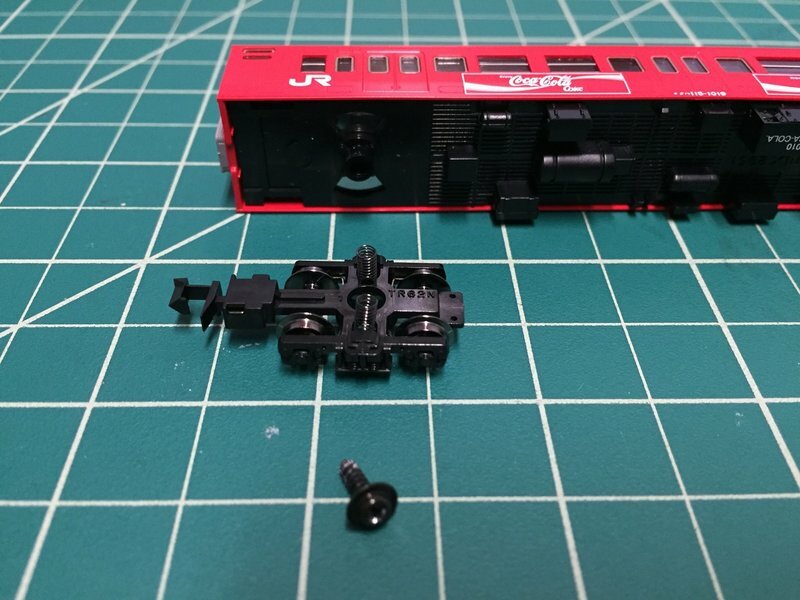 It is not possible to connect Kato couplers with TN couplers and they do not have mounts for body-mounted TN couplers. Many recently released Kato models come with body-mounted Kato couplers pre-installed, but unless you're willing to cut and glue stuff, it is impossible to install body-mounted couplers of any kind on older Kato rolling stock. 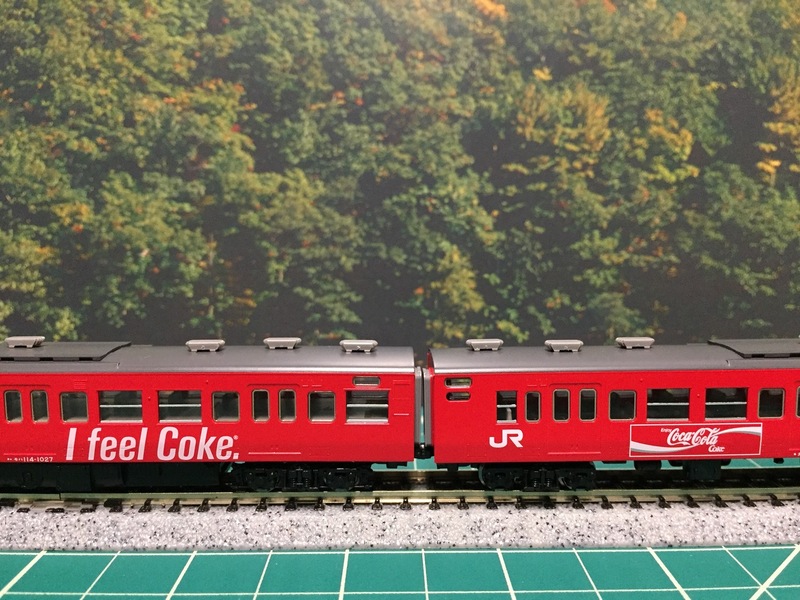 It also should be noted that recently Kato has introduced a new type of shibata coupler, which is slightly better looking and can actually be coupled with their TN equivalent if you are willing to cut off a little piece of the Kato coupler. It will however make coupling with other Kato couplers slightly less reliable. 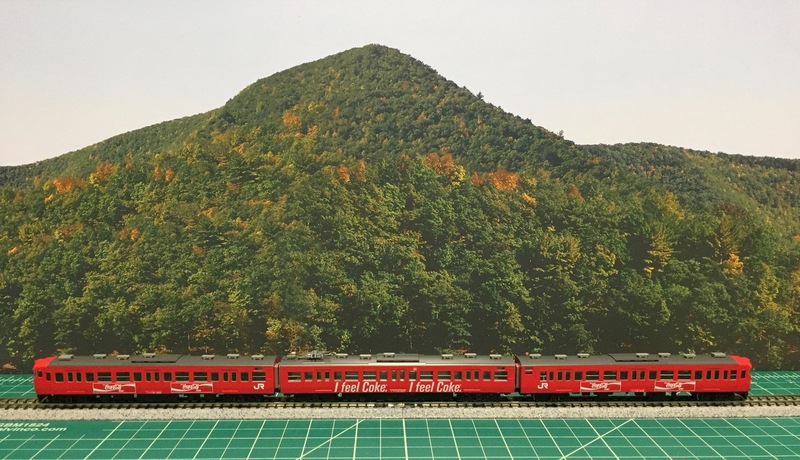 I get the impression that you're thinking of running JNR DMUs along with some diesel/steam locomotives and freight/passenger cars. You said you wanted to go with Tomix (and thus TN couplers) for you DMUs, which is a solid choice. However, what locomotives and freight/passenger cars are you exactly looking for? Depending on the rolling stock, it may be a good idea to choice between either Kato or Tomix. Without knowing what models you are exactly looking for, however, it is a bit difficult to give good advice. (Almost all of these are two-axle cars). I don't know about any locomotive-hauled passenger equipment yet... they were replaced by DCs on Aizu Takinohara line in 1967, and my project is set in the 1967-1969 period. So I may eventually decide to get one train's worth of cars. Locomotives, I've got one Tomix DE10 - which isn't for regular operation, but nevertheless I'll want to run it occasionally; the main fleet of motive power will be entirely Kato C11s (at least three). As for the DCs, yeah, I decided to go with Tomix because I found they look a bit better than the Kato ones I've seen, and because Tomix has all the types I need, with the exception of the KiHaYuNi18, but I see there's a body kit for that available (or at least formerly available) from Bona Fide - which I understand is designed for use with a Tomix chassis anyways. That sure is a bunch of trains from a lot of different manufacturers. That makes things slightly difficult. If you are thinking of using very few or no passenger coaches, the visual difference between TN couplers and Kato couplers will be negligible. Two-axle cars always have body-mounted couplers anyway. 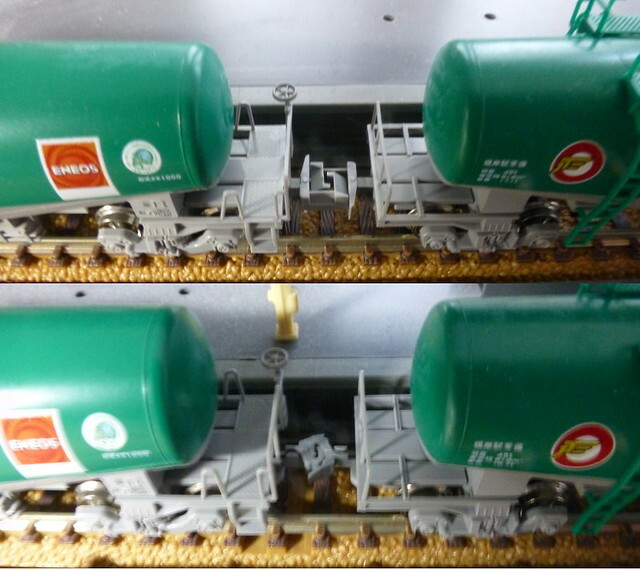 With a little fiddling I think it's rather easy to install either type of coupler in coupler holders of freight cars. 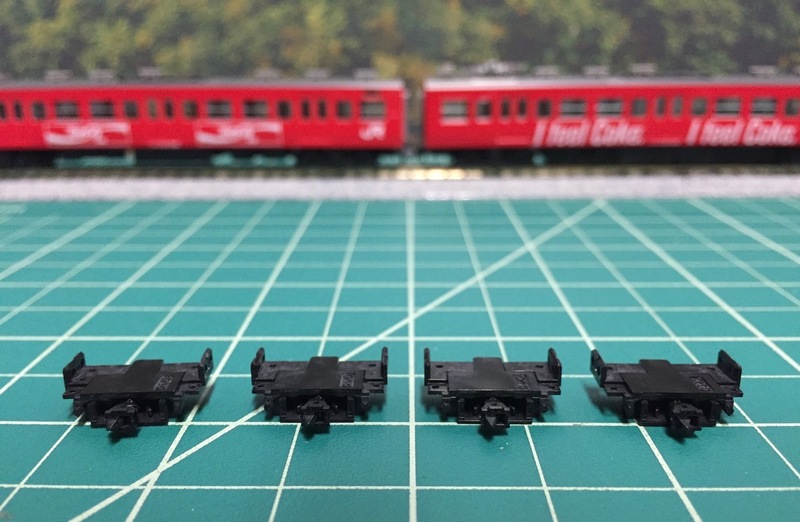 Considering that your main fleet will exist out of Kato models, and that especially changing the couplers of the C11 to TN couplers will be a PITA, I suggest going for Kato knuckle couplers. As for the DE10, I would just get a Kato DE10 and sell the Tomix one, although with enough fiddling you will also be able to install Kato couplers on the Tomix one. You just need a bunch of Kato 11-702 then, which are very cheap. The Kato C11 did probably already include Kato knuckle couplers? I was to some degree aware of the differences between Kato and Tomix and so I tried to (to some degree) prefer one or the other in making the list of freight cars, and if Kato as well as someone else makes the same type of car, I opted for the Kato. If Tomix and someone other than Kato makes the same type, I opted for the Tomix because the Tomix cars are very nice. The Popondetta models wouldn't be my first choice, if they were available from Kato or Tomix, but they're models of types that (afaik) neither Kato nor Tomix makes. Also I'd like to just note that the list isn't a random thing, I actually used a system with a number of parameters to determine which cars go on the list. This is the first time I actually looked at that list to count up how many models from each manufacturer; I hadn't been aware that Kato dominates the list so much! But as you say it does make sense to go with the Kato knuckles. How are they operationally, in terms of shunting? The kato knuckle couplers are very reliable, and stay coupled once connected. 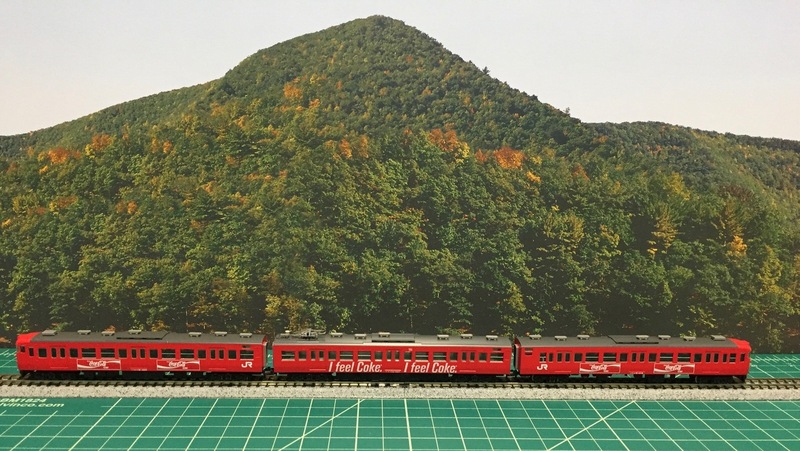 However, sometimes short trains need a little push to connect them, as kato rolling stock is so free rolling that the cars just get pushed instead of coupling together. The kato knuckles are compatible with Micro trains, I believe. When possible, I also choose Kato over other manufacturers as for locomotives and cars. They really have more types available of these compared to others. The bogie-mounted couplers on various coaches are a bit of a nuisance to me though. 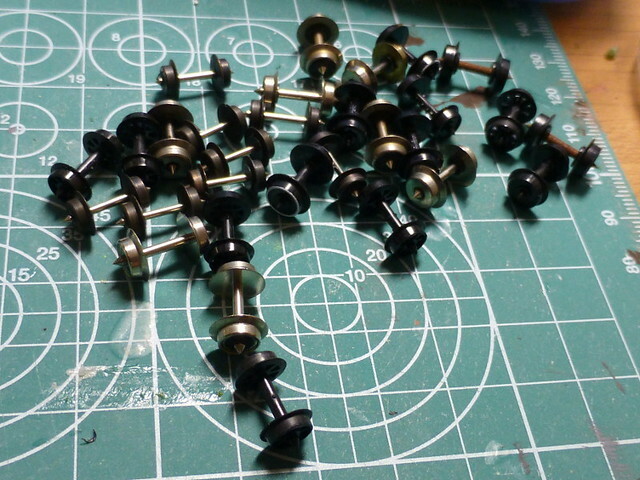 I haven't installed Kato couplers on any of my rolling stock yet, so it's hard to say how they are in practice. They are just plastic couplers though, so automatic decoupling is obviously impossible at least. Look like magnetic variants do exist though. Okay, thanks. That's something to consider then... preferably I'd like to have automatic uncoupling be possible, although I suppose I could live with having to manually uncouple cars, as a temporary thing at least. I suppose I'll still need to give this more thought; I'm not sure I'm really any closer to a decision. It's a good thing i don't collect loco hauled japanese stock, otherwise i would be in trouble. The little i do have is a mix of kato and tomix from new to an ancient one labeled as tomy. 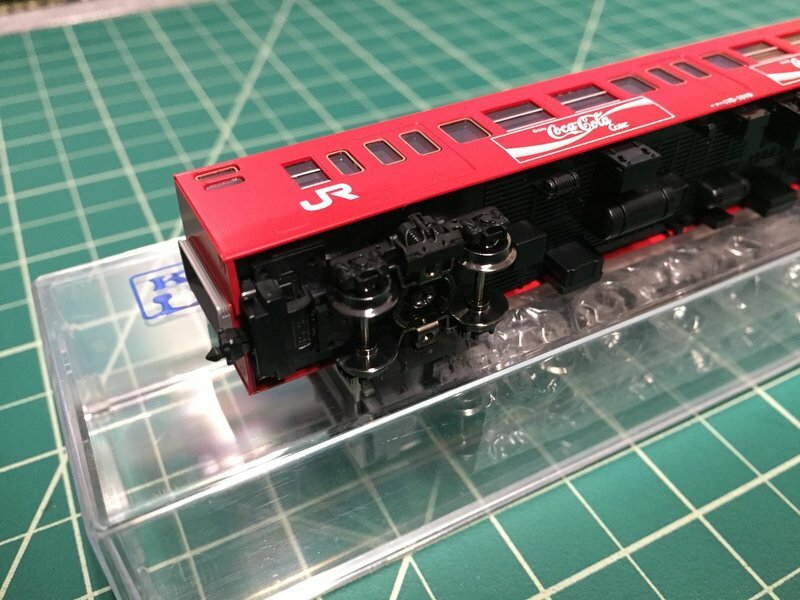 To my surprise, they all run on the kato mini curves, including the ef58, but the car corners are almost touching, even with the basic rapido couplers. Replacing rapido couplers with Tomix 0336 TN Couplers for beginners - as requested by Paul the master wiring dude. Super simple and takes about a minute per coupler. 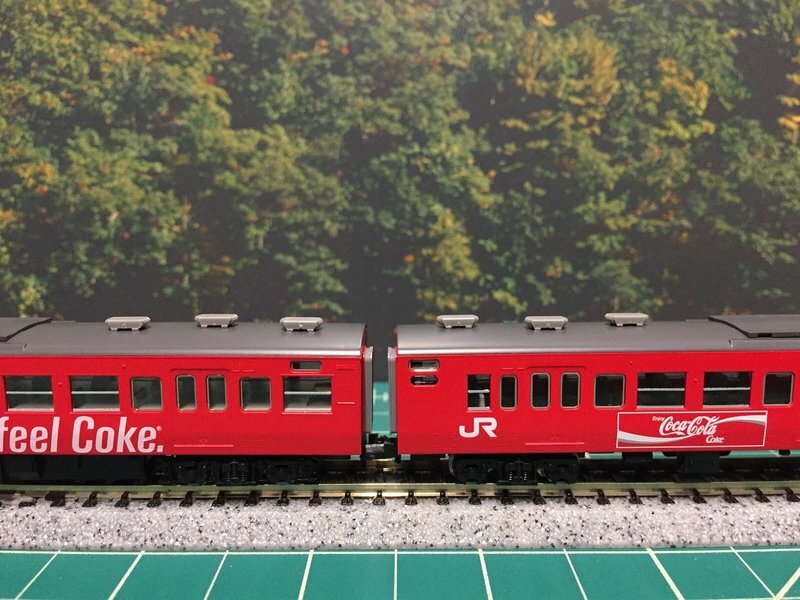 The subject is a Tomix 92390 115-1000 "Coca Cola" color. The gap between cars is quite big with rapido couplers. The coupler for this model is the Tomix 0336 TN Coupler - black. They come in a pack of 6 with a price range of 1050 to 1500 JPY. Remove screw and truck and be careful the springs don't fly away. I've lost a few not being careful and just letting the trucks drop. Snip off the rapido coupler holder. This makes it a permanent change unless you go and buy replacement trucks with rapido couplers, but why? Snap on the TN couplers by lining up the 2 holes on each side. Make sure it clicks in and that it's snug. Install the truck, don't forget the springs. It's done! After with Tomix TN couplers, barely a gap. whole train coupled together closely. I agree completely - an enormous difference. It looks great! I asked my friend (the one who makes his own Proto:160 wheels etc) today to look at my Tomix and Popondetta freight cars to ask his opinion on swapping the couplers out to MTs. His verdict, piece of cake, even said he'd be willing to do it for me. Once my first Kato C11 arrives (hopefully as soon as the week after next?) he's going to take a look at that, too. He said off the bat that that'll likely be a bit more labour intensive but he's willing to do those for me, too. I also talked with some of the N-Trak guys about their experiences in running at shows (where the joints can sometimes be not quite perfect), and my general take-away from it was that if they're mounted properly, they're quite reliable. So I think that question is settled for me now.